BLUECODE Labelling Technology can produce a number of labels that contain barcodes which conform to accepted industry standards - EAN, Code 39, etc. These can be sequential and/or alpha­numeric and can be printed in conjunction with the hot foil process. Labels can be produced which give fixed or variable information. BLUECODE Labelling Technology are specialists in this particular application with the ability to produce information labels containing consecutive serial, batch and/or bar code numbers onto resistant plastic adhesive backed materials. Due to the physical disposition of many information labels in their working environment, most are printed on plastics with over lamination making them resistant to oil and mild acids/akalis. Typical label applications could be machine rating labels, serial number labels and asset labels, etc. Whatever your requirements, BLUECODE Labelling Technology has the experience, knowledge and technology to fulfill them. 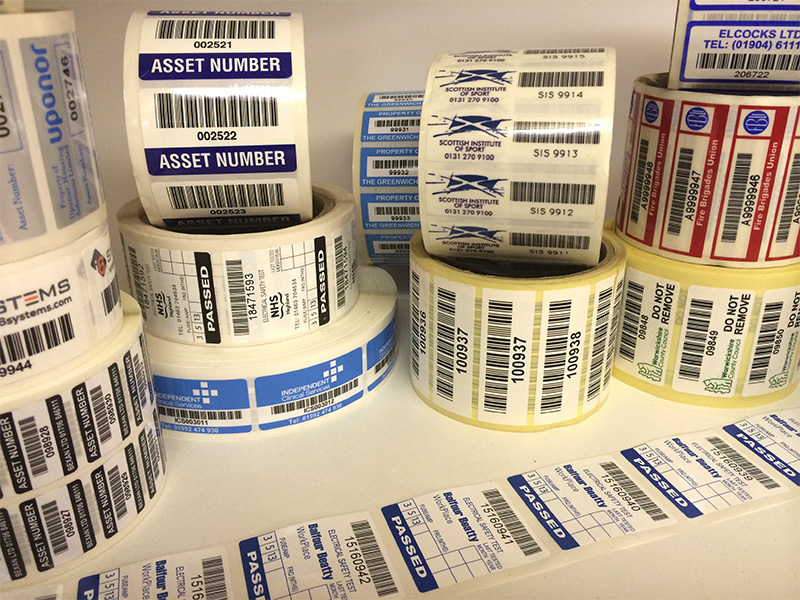 BLUECODE Labelling Technology also offer a range of standard Barcode / Asset Labels. These labels are available for immediate despatch.